The new Apple Maps vehicle spotted in LA. Apple’s fleet of vehicles used to gather data for Apple Maps appears to have gotten a significant upgrade and it could help make Apple Maps even better. People in the Los Angeles area have spotted a second-generation version of Apple’s mapping vehicles in the wild. Unlike the previous version, these cars aren’t vans, as Apple has opted to use Subaru SUVs instead. 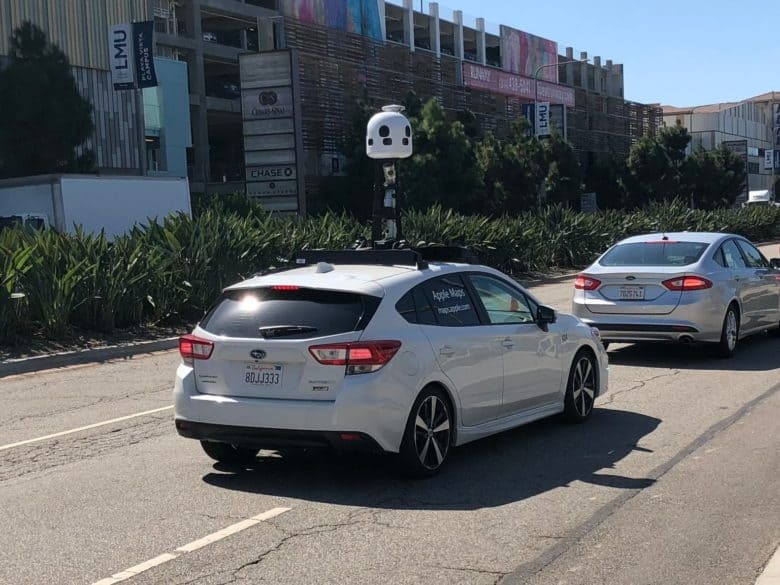 The company’s Apple Maps vehicle logo can be spotted on the side of the white Subaru Impreza’s being used to gather data. Business Insider says the new vans have been spotted by two different people over the last few weeks in the LA area. Apple’s mapping vehicles are different than the self-driving cars the company is also working on. That project is using Lexus RX450h loaded with a different array of sensors on the roof. The Apple Maps Subaru wagons have a tall beehive-like object sticking up on the top. Underneath the white shell is probably a bunch of cameras for street-view images as well as multiple LiDAR sensors that can be used for data with autonomous driving and augmented reality. Earlier this year Apple revealed that it plans to do a complete overhaul of the Apple Maps app. In the past, the company used data obtained from mapping partners, but now it plans to source it all on its own. Apple said it will only cover Northern California by the end of fall, so the complete rebuild could be a slow task.